A three-week course of study – two weeks of chamber music at Oberlin Conservatory, followed by a week of outreach and orchestral performance in Chicago. Students receive daily coaching with Credo’s world-class faculty, supplemented by private lessons, master classes, and career development talks. In addition to regular performances, Credo students spend one day each week serving the community in food banks, hospitals, early childhood centers, and similar venues. The application for Credo’s 2019 Festival is now closed. Check back in September for information about applying to Credo’s 2020 Festival! If you are an alum you can still attend the Oberlin or Chicago Alumni Reunion this summer! Submit this form by May 1 to register. Students will begin the program with two weeks of intensive chamber music study and performance at Oberlin Conservatory Each chamber group receives daily coaching and will be expected to perform several times each week. Repertoire will be assigned and sent to students in June, allowing them to master their individual parts before arriving. This advance preparation combines with Credo’s carefully matched assignments to foster unparalleled growth as individuals and ensembles. Having honed their ensemble skills, students will travel for the third week to Chicago to perform an exciting array of outreach activities, and to prepare for a gala concert at Orchestra Hall. Credo Artistic Director Peter Slowik will direct this performance of Tchaikovsky Serenade for Strings Op. 48, Rimsky-Korsakov Scheherazade, and Mozart’s Sinfonia Concertante, featuring Credo alumnus Matthew Lipman (‘05,’06) and Rachel Barton Pine as soloists. For information about full-fellowship counselor opportunities please click here. As an important part of Credo’s mission of service, students devote one day a week to a variety of service activities. They share their special musical gifts in concerts at day-care centers, Oberlin summer educational programs, nursing homes, and hospitals. They also experience the joy of accomplishment in such tasks as park site preparation, cleaning homeless shelters, and community beautification projects. Each service day offers an opportunity for faculty and students to connect outside the confines of the practice room, and to develop a life-long passion for serving others with our art and being. While in residence at Oberlin’s world-renowned Conservatory of Music, students enjoy excellent rehearsal, coaching, and practice facilities, a celebrated music library collection, and many recreational opportunities offered on Oberlin’s park-like campus. Sun-filled practice rooms are never hard to find: the Conservatory has over 150 practice rooms, all with floor to ceiling windows and many equipped with full-size Steinway pianos. Visit the Oberlin Conservatory website for an overview of the facilities. During the final week of the Credo Festival students will reside in downtown Chicago and perform in venues around the city. The festival finale concert takes place at Symphony Center, where thousands of performances have been given since its opening in 1904. Luminaries including Sergei Rachmaninoff, Pierre Boulez, and Arturo Toscanini have taken the stage at Symphony Center over its storied history. We make every effort to provide financial assistance so all students can attend Credo. Aid is awarded based on financial need. In a typical year, Credo awards approximately $70,000 in financial assistance. To apply for financial assistance, complete the Financial Aid section of the Credo 2019 application. To help you prepare the necessary figures and information for that section of the application, you may request a Financial Aid Worksheet by contacting us at admissions@credomusic.org.  Credo is able to offer an extremely limited number of full-tuition scholarships for talented piano and string students. To be considered for a scholarship, applicants must complete the financial aid section of the application. A limited number of upper-division college students will be chosen as Counselors for the Festival. Counselors will only be required to pay a refundable $100 security deposit - all other expenses will be covered. Special consideration will be made for Oberlin Conservatory students or returning Credo alumni. Selection for counselor positions will be by rolling admission, so apply as soon as possible. 1. Send an email to peter.slowik@credomusic.org indicating your interest in a counselor position. You will be contacted for an interview. Strong preference will be given to counselor applications received by February 15. Share the Gift (STG) is a way for Credo students to raise support towards their tuition while helping their communities and fellow students. Learn more about Share the Gift here. "Music making was always the top priority and I felt immensely blessed to be a part of something so pure and good. Credo teaches and encourages each musician to be highly skilled technicians, thoughtful artists, and sensitive collaborative players, but most importantly it carries the message that music comes from deeply rooted place in each of us, and with that we are capable of expressing our joy and giving our musical message to everyone who listens." + What does a typical day at Credo look like? A typical day at Credo includes 1.5 hours of coached chamber ensemble rehearsals, 1.5 hours of uncoached chamber ensemble rehearsals, 3 hours of solo practice, "Morning Sing" group devotional, instrumental masterclass and/or private lesson. + What is Credo's minimum performance level? Credo is open to any player who would benefit from the environment of intensive chamber music instruction. Many Credo students are prizewinners in national and regional solo competitions, many others sit at or near the front of their youth orchestra sections. Students are admitted to Credo based on finding suitable chamber music partners – thus compatibility with other applicants is more of a deciding factor than absolute talent/achievement. + Is financial aid available? Yes. Credo is committed to using financial aid to make our program available to all. Typically, more than $70,000 of financial aid is awarded each year, primarily on a need basis. + Where do Credo Students come from? So far, Credo students have come from 43 states: New York to Hawaii and Alaska to Florida! Over the years, students also journeyed from Hong Kong, India, Indonesia, Japan, Korea, China, the Netherlands, Taiwan, New Zealand, Canada, Australia and Tanzania to share the Credo experience. + Is Credo a 'church camp'? No. Credo is a music program of high-level study and performance. Credo programs use faith and service elements to enrich and deepen the student’s commitment to excellence and appreciation of the special power of music. + Are all faiths welcome at Credo programs? YES! Credo (Latin for, “I believe”) is a place for development and strengthening of faith. The required morning sing is led from a non-denominational Christian perspective by faculty. At Credo, students from Christian denominations and several non-Christian faiths have grown together by discovering their common beliefs and respectfully discussing differences. + How is musical growth fostered? Students engage in musical growth through chamber groups, masterclasses, large ensembles, and private lessons. They have the opportunity to study with outstanding faculty from leading conservatories and orchestras, and interact with professional chamber music groups. Click here to learn more about Credo's faculty. + Which faculty will be coaching me? Students have the opportunity to work with several members of the faculty as their coaches throughout the program. Credo Oberlin’s world-class faculty includes faculty from America’s most significant conservatories and performing ensembles. + Does Credo have any internship opportunities? Each summer Credo hires 1-2 summer interns. Credo's internship program is a valuable opportunity for hands-on experience on the day-to-day operations of a summer music festival. Please see our internship page for more information.